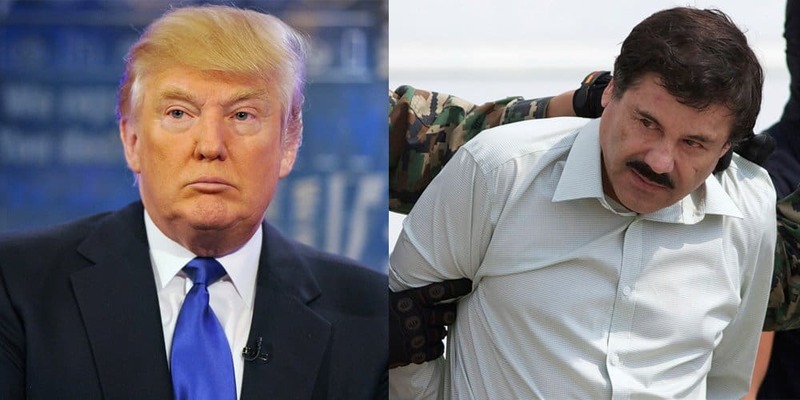 The notorious, and highly wanted, drug lord ‘El Chapo’ has apparently set up a $100 million ‘dead or alive’ bounty for the head of Donald Trump, the presidential candidate we all love to hate. According to reports, the drug lord grew outraged over remarks the presidential candidate made regarding Mexicans and Mexican immigrants coming into America. So, he did what any kingpin would do: put a massive bounty for the Republican – it doesn’t matter if the man is dead or alive, as long as he is brought to El Chapo. Guzman previously escaped from the Altiplano jail, and is considered one of the most dangerous men in the world at the moment. He escaped the most secure federal prison in Mexico thanks to a 1.5km tunnel, which had ventilation and staircases. This tunnel opened into a shower area within his lavish prison cell.